Dynamic Seminars | One of nation's leading resources for sales & customer service programs. Louis creates programs that move participants to action with dynamic and insightful presentations that capture attention. Louis provide education and insight regarding customer service, sales, marketing and professional development, having a true impact on your business. Louis’s keynote presentations at conventions, corporate meeting and professional gathering are some of the most memorable of your event! Louis is one of the nation’s most dynamic lecturers and educators in the area of sales, marketing, customer service and professional development. 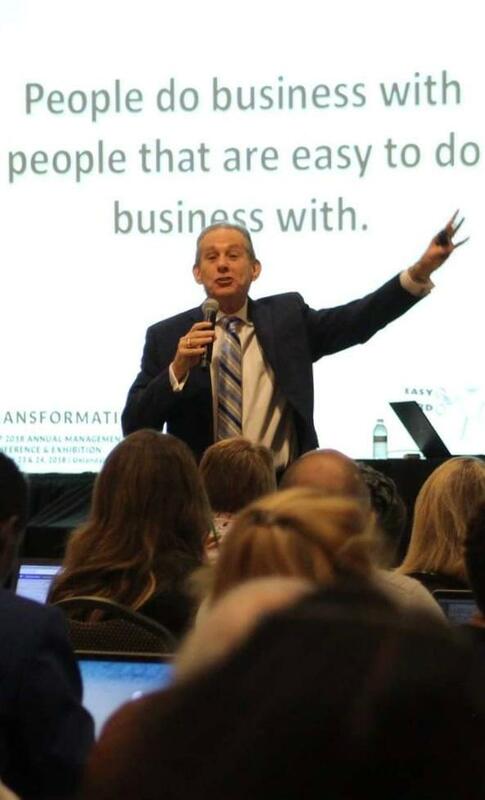 He has been called by conference attendees as the “reality presenter.” Telling you like it is and waking you up to the reality in your business – while offering strategies for personal and professional growth. Louis was a healthcare administrator, social worker, case manager and director of social work at a 1300 bed acute care facility. He was the director of professional development at one of the nation’s leading home care companies with more than 600 sales staff. Louis presents some the most memorable programs for your company meeting, convention or professional gathering. His insight and humor will make all the difference. His new Business Guide to Quality Customer Service is now available for $25 plus 7.95 S&H. Louis will have available his most exciting program on video – If Disney Ran Your Business available March 15 for $45. This is Louis’ most popular and requested presentation. Louis has worked with a long list of healthcare corporation, medical manufacturers, banks, pharmaceutical companies and the list goes on. With this video everyone can bring Louis to your office.